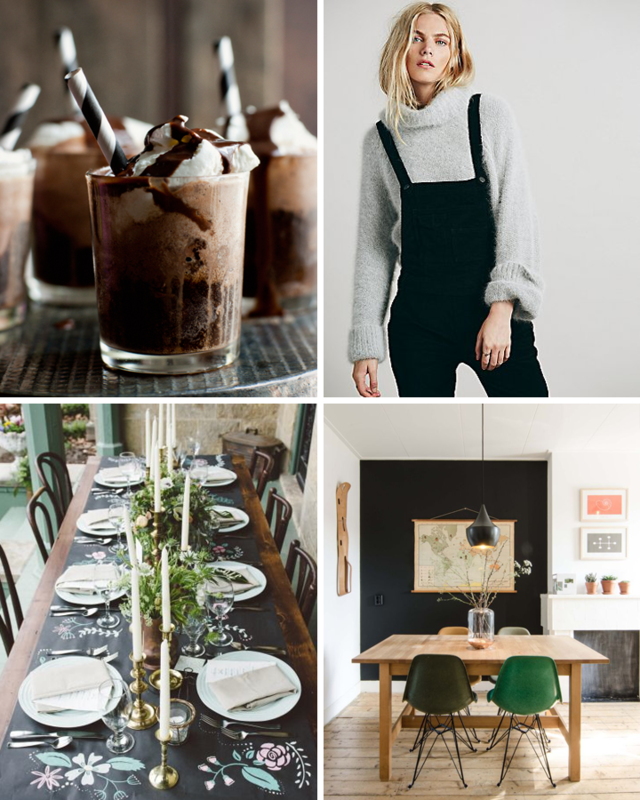 Lately the color black has been catching our eye and inspiring us like crazy. We've noticed it popping up everywhere - from runways to decor trends - and this bold color is definitely one of our favorites. It may not be your typical Springtime hue, but it's timeless, clean look makes us a fan every season. What color(s) have you been crushing on? Is it weird that I stalk your pinterest board like crazy? !